If you’ve ever seen a little one twirl until dizzy, or a senior citizen twist and jive to a favorite tune, you know that one doesn’t have to be a prima ballerina to experience the joy that movement offers. The movement of all types of people, in all physical conditions, can also be just as aesthetically appealing as the dancing of top-pier professional dancers. 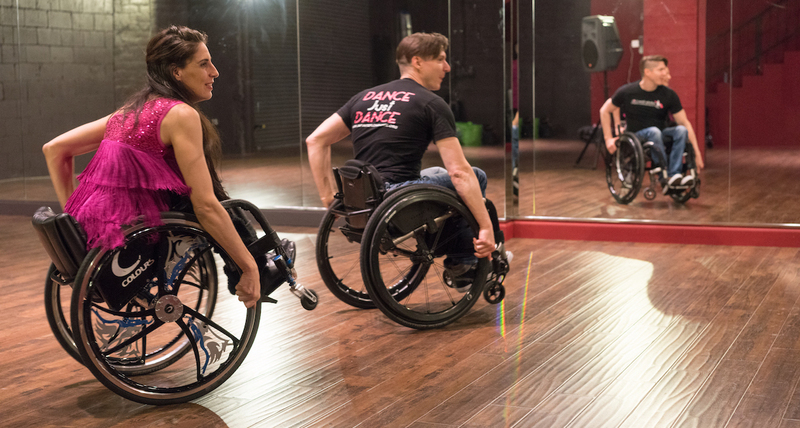 Infinite Flow Dance Company (IFDC), under the direction of Marisa Hamamoto and based in Los Angeles, California, is out to help prove that – especially in regards to dancers in wheelchairs. By bringing together in dance non-disabled individuals and those in wheelchairs, the company seeks to create compelling and innovative art. More than that, Hamamoto’s organization is driving a social movement for inclusion. Marisa Hamamoto. Photo by Michael Hansel. Hamamoto was inspired to start the company a year-and-a-half ago, after her experience being temporarily paralyzed from the neck down in 2006. Her doctors told her she might not walk again, let alone dance. With unwavering grit and belief in her ability to recover, she is now not only dancing but dancing professionally. On that journey of healing, Hamamoto recognized first-hand the bias and bigotry that those with disabilities face. She then learned about wheelchair dancing and believed it wasn’t being taken seriously as a legitimate art form. She created IFDC in order to counter such limitations, to put forth the company’s premise that “everyone has a dancer inside of them”. The company differs from Axis Dance Company, one well-known for creating commendable dance art with non-disabled dancers and those with disabilities, in its primary style of dance. 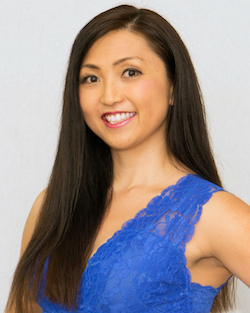 Hamamoto explains how IFDC specializes in ballroom and social dancing, with influences from other commercial styles (such as hip hop), while Axis offers contemporary/modern works. She adds that the two companies have a great relationship, and that she has learned a lot from Axis (she shares that she had the opportunity to join them for their three-day teacher training intensive this past summer). Axis and IFDC are different in dance genre but “share a mission to change people’s perceptions on disabilities and advocate for inclusion through dance,” says Hamamoto. IFDC also has another component to the organization, apart from the dance company. “There’s a whole different area of the company that’s advocating for inclusions in dance as a whole,” Hamamoto explains. Along with that is her central goal to “increase quality dance education to all”. Innovation is a key part of that mission. Hamamoto states, “If we want to be respected out there in society, we have to keep up with innovation, in everything we do.” That includes understanding the “power of media”, she says, and the company is always striving to “put out fresh content while keeping our nuts and bolts together”. At the heart of that is working toward the greater respect for all people who want to dance. Hamamoto shares stories of mothers crying on the phone to her about their children in wheelchairs denied access to local dance schools. In one particularly shocking instance, a child and her parents left an audition for their youth company almost immediately after arriving, very evidently right after they saw other children in wheelchairs there to audition. Hamamoto describes how those children could very well perceive the sense of superiority, perhaps even disdain, of those parents. IDCF is working to end such heartbreak, at the same time “break[ing] boundaries artistically and socially”, says Hamamoto. Infinite Flow – A Wheelchair Dance Company. Photo by Michael Hansel. For more information on Infinite Flow – A Wheelchair Dance Company, visit www.infiniteflowdance.org. Photo (top): Infinite Flow – A Wheelchair Dance Company. Photo by Michael Hansel.